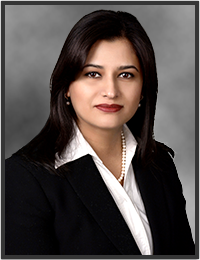 Mohu Sultana is a Co-founder of M2SYS and serves as the Executive Chairperson. Ms. Sultana is responsible for analyzing market trends and key industry activity to create a tactical blueprint that positions M2SYS as an agile enterprise decisively poised for growth. Her keen foresight and perceptive awareness of sector influences plays a key role in overseeing both corporate and product direction. Ms. Sultana has served on the Board of Directors of BayBuilder where her leadership proved a vital aspect of the company’s critical resolution to optimize its business and investor relationship strategy. Ms. Sultana received a B.S. degree in Computer Science from the Georgia Institute of Technology with a specialization in Human Computer Interaction. She is also a member of the Phi Theta Kappa Honors Society and was listed in the American National Dean’s List for her outstanding academic performance.